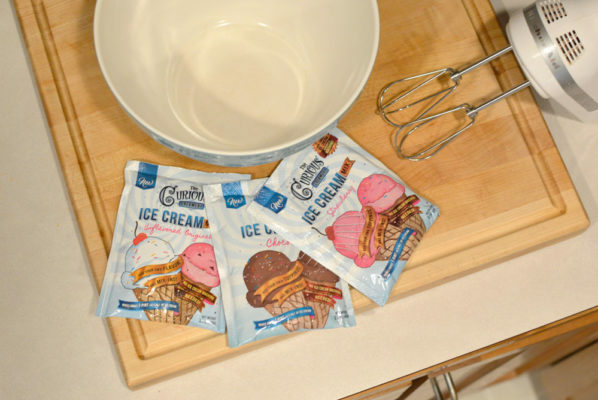 How to Plan Easy Kids' Birthday Parties - Create. Play. Travel. Do your kids love birthday parties? My daughter starts talking about her birthday party theme months in advance. She loves parties and I love hosting them, planning the party details, and creating a fun theme to celebrate a special occasion. I tend to keep things pretty budget friendly but a party can still be creative with paper, craft supplies, and cute party foods. What’s the first thing you do when planning a birthday party? Order party invitations of course! I’m excited to share with you my tips for planning kids’ birthday parties to maximize the fun and minimize the cost and stress of party planning. This post was sponsored by Purple Trail. All opinions and ideas are our own. 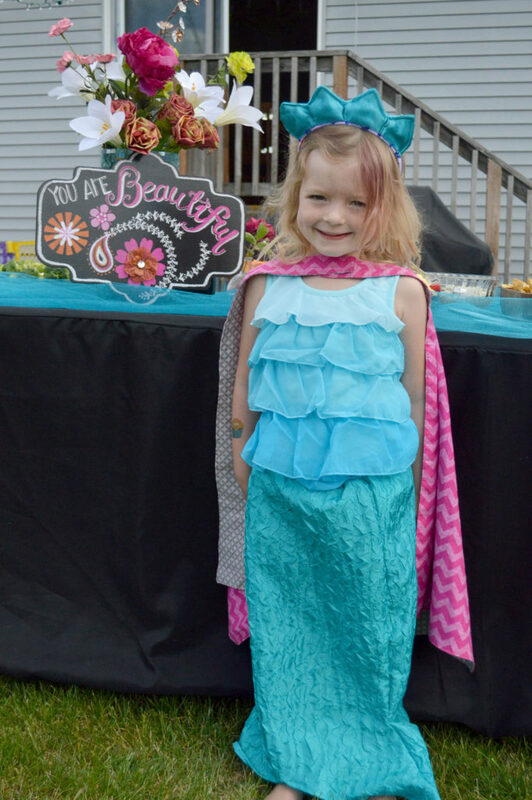 My daughter announced she wanted to have a Mermaid Superhero party for her 4th birthday. Mermaids… Superheroes… ok? She was very adamant about this specific theme. I’m happy my daughter inherited a decent chunk of creativity. A Mermaid Superhero party can be done! 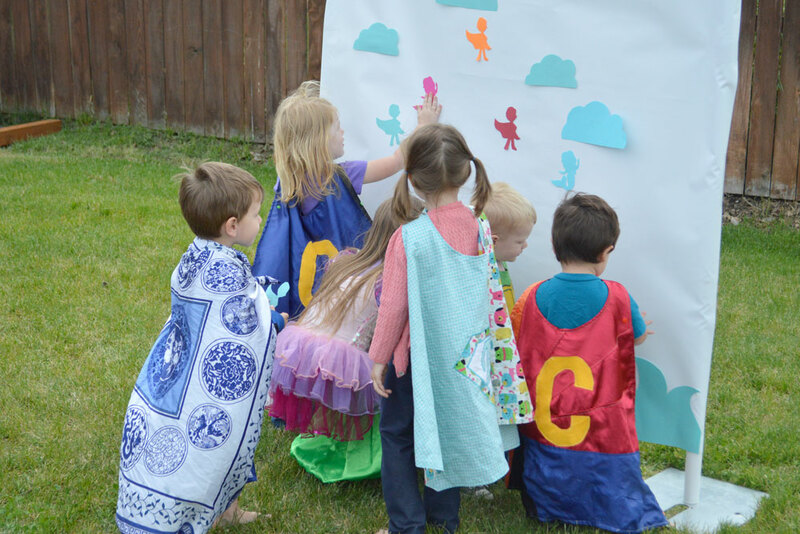 We had lots of fun coming up with Mermaid Superhero party ideas for snacks, a toddler-friendly game and of course costumes! Birthday invitations have the power to make or break a party. After all, party invitations are what lets people know they are invited to your daughter’s super fun Mermaid Superhero party! We created invitations to match the creative theme of my daughter’s party. 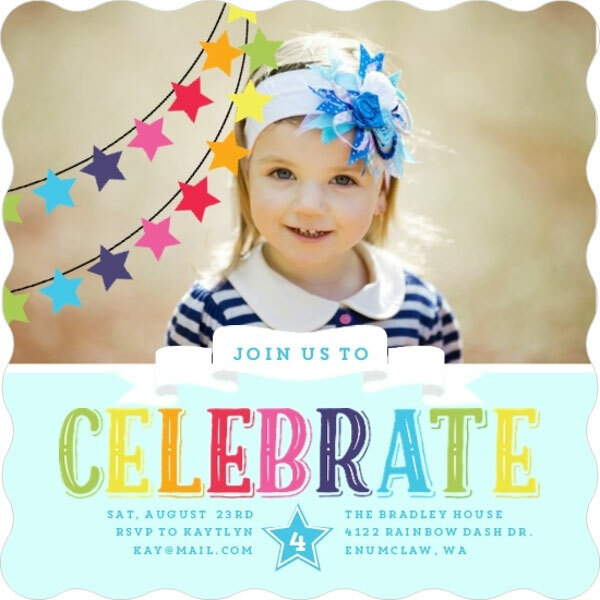 Personalized invitations make a party invite super fun! I love these cute kids’ birthday invitation themes offered by Purple Trail. You can add your child’s party invitation info, drop in a photo, and easily order the quantity of invitations you need. Purple Trail offers lots of customization options for your kids’ birthday invitations, such as adding a child’s name, party location info, and RSVP contact and customizing color scheme, photos and illustrated embellishments. You can choose from hundreds of party invitation designs such as this girl’s Superhero Party invite and colorful CELEBRATE invitation with star pennants. My daughter’s birthday party invitations encouraged all her guests to wear a superhero cape or mermaid-inspired costume! 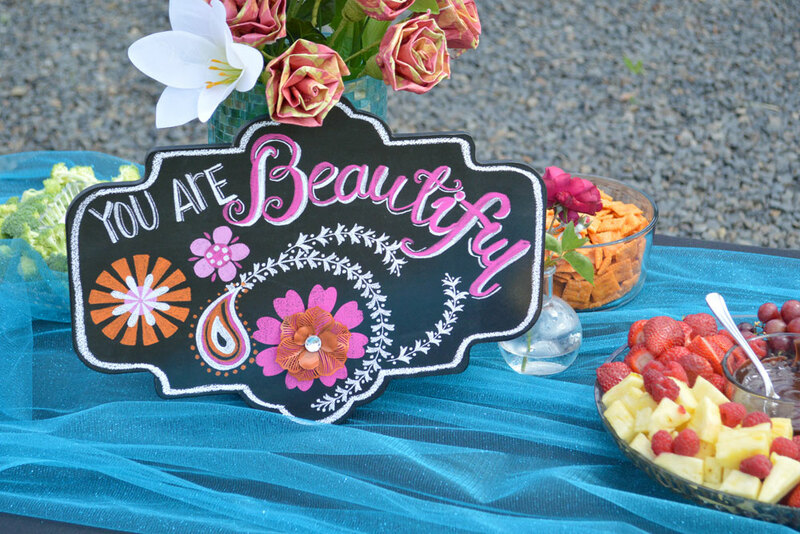 Once you’ve invited your guests you will need to create decorations for your party theme. 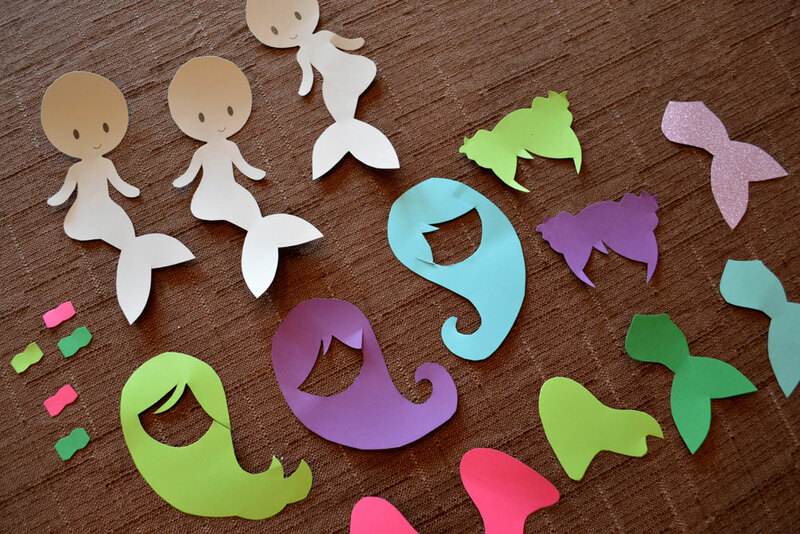 We made cute little Mermaid Superhero paper characters to use for decorations and for our kid’s birthday party game. 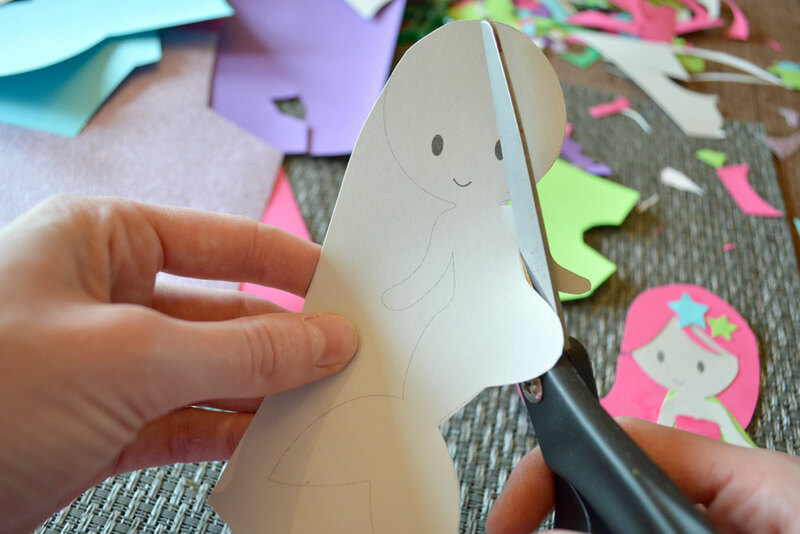 Paper characters are fun to make and you can easily cut them out of any colored paper. Design your own mermaid superheros using our free printable template below. Click on each template to open the printable file in a new window and either “print” or “save as”. 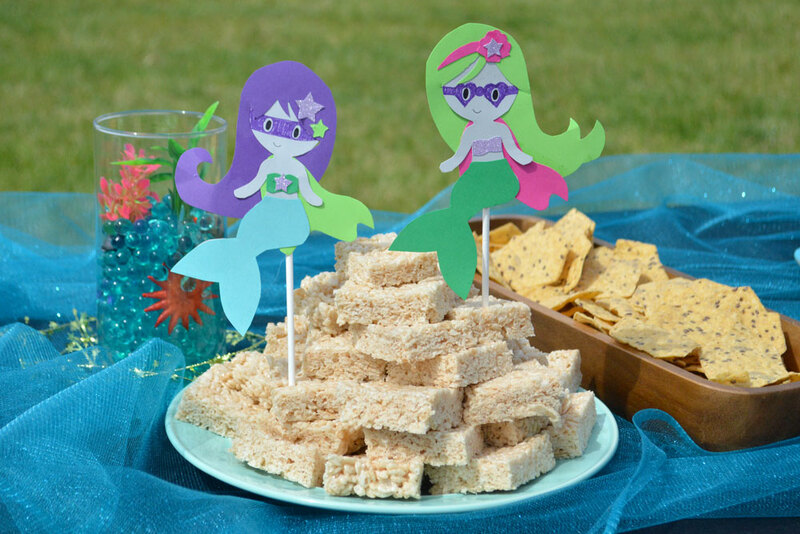 Our cute mermaid superhero characters are perfect for decorating the food table at a kids’ birthday party. We also used them on the birthday cake! If you just want to make paper mermaid party decorations, skip adding the mask and cape. I’ve always kept kids’ birthday cakes fairly simple. A 3-tiered cake turns a simple dessert into a magnificent creation! This cake was so easy to make. I just bought a few small cake pans, baked two small cakes and two larger cakes (I used a boxed cake mix), stacked the cake layers, and iced the cake with green and blue frosting. I used a regular icing spatula to create the cool wavy pattern on my daughter’s birthday cake and decorated it with blue and green chocolate candy melts. Easy as can be! 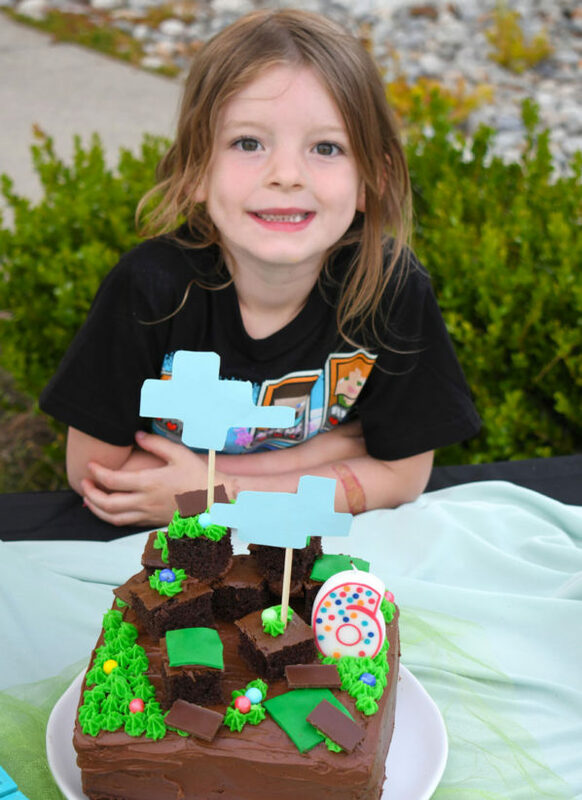 You don’t have to be a cake decorating pro to make a darling layered kids’ birthday cake! 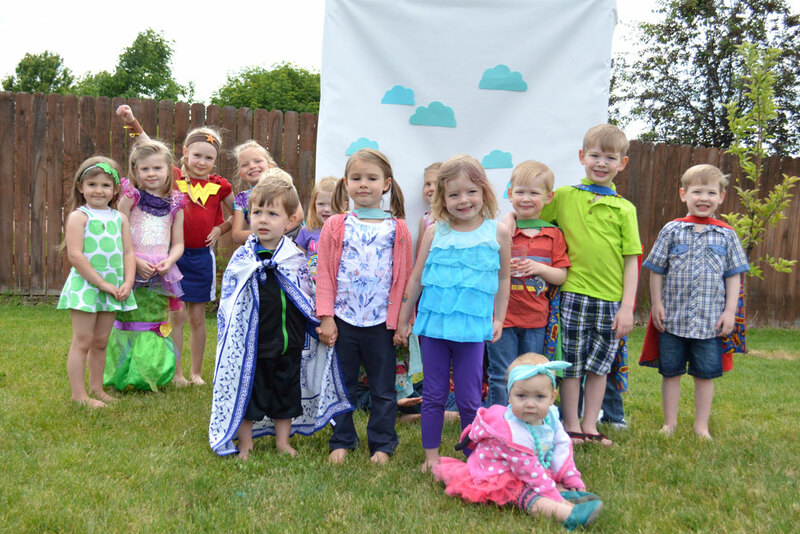 We designed a Mermaid Superhero party game that was easy enough for 3 and 4-year-old kids to play. The game objective was to stick the superheros in the clouds and the mermaids in the ocean. I placed a square of looped tape on the back of each character and let the kids stick them on to our simple white backdrop embellished with paper clouds and ocean waves. The party game ended up being a mass gaggle of kiddos but they still had fun. Everyone wins and gets a prize! I filled several large tubs with colorful water beads as another sensory birthday party activity! The kids loved scooping up the water beads and playing with the colorful squishy balls. Water beads are a super fun activity that can entertain toddlers and preschoolers for hours! We also rented a bounce house, another easy kids’ party activity. 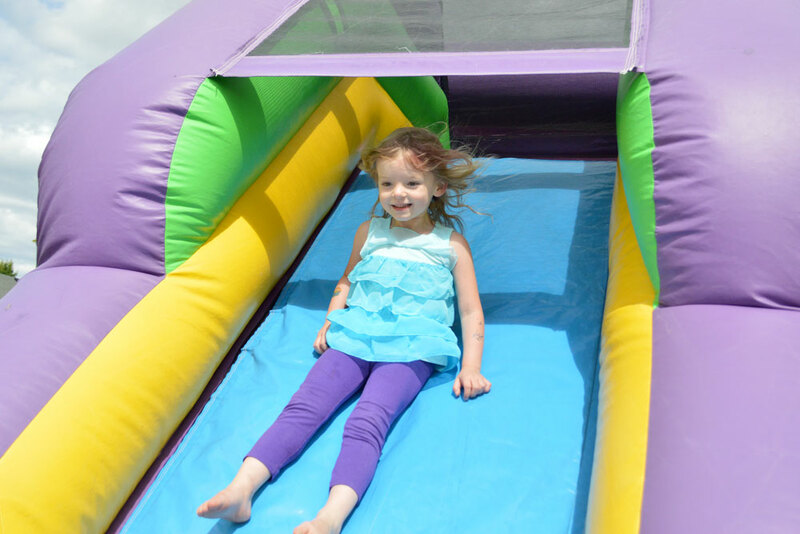 Most towns have a local bounce house rental you can reserve for an afternoon. My daughter’s summer birthdays are so fun because the kids can play in the backyard and run around to use up some of their energy before eating cake! 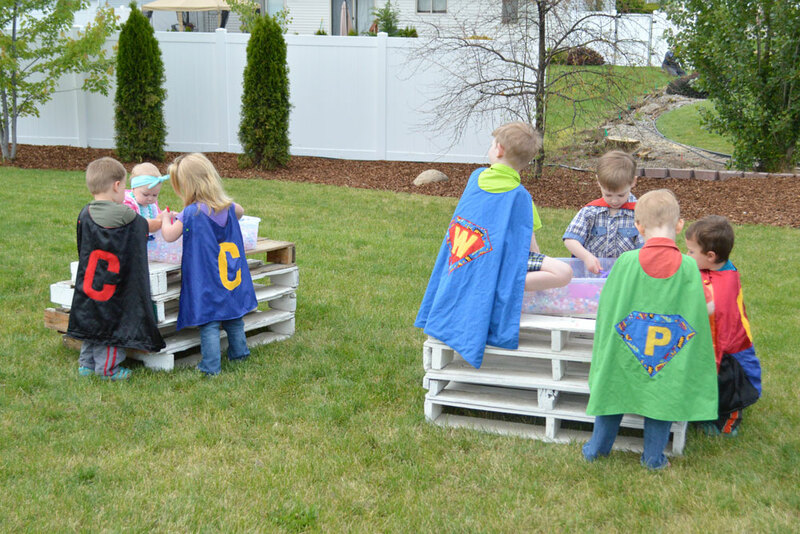 Backyard birthday parties are easy to set up and clean up without having much mess left behind. We set out a mermaid-inspired party food buffet with fairly simple kids’ food. It’s good to balance your party food spread with healthy snacks alongside the treats. I like to pick some snack options from the 5 Senses assortment of tastes. Salty Snacks: Chips, cheese crackers, and popcorn all make popular kids snacks! Include healthier snack options such as pita and hummus and kettle cooked chips. Sweet Snacks: Cupcakes, candies, and desserts are the highlight of any kids’ party! Offset the sugar with healthy sweets such as fresh berries, watermelon, and bananas dipped in chocolate. Sour Snacks: Pickles, salt and vinegar chips, and sour candies all make fun party snack additions! Spicy Snacks: Homemade salsa, spicy nuts and zesty party mix is a yummy addition to a birthday party food spread! 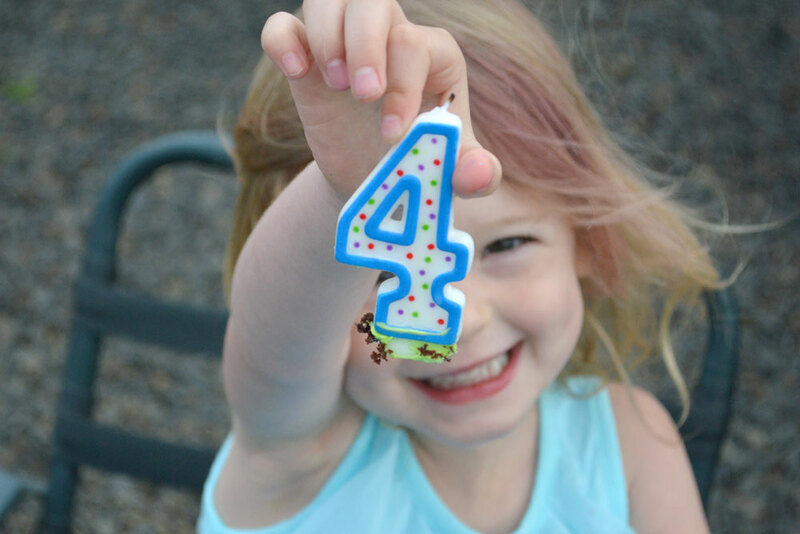 Happy 4th birthday little one! Overall my daughter’s birthday party was a success; we enjoyed a lovely day and many of the kids arrived dressed in darling costumes and superhero capes ready for a party! Do you enjoy planning your kids’ birthday parties? I love hosting a party for each of my kids, especially when I can make a lot of the food and decorations myself and keep the party budget-friendly. 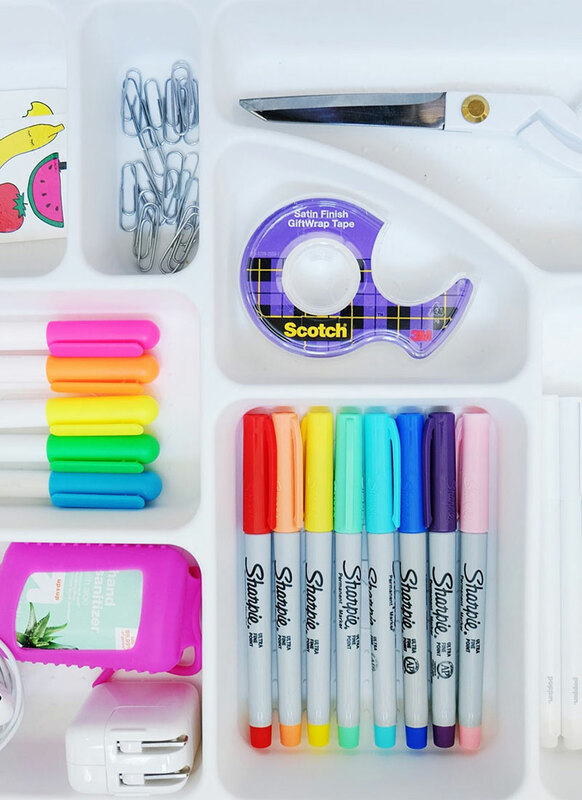 I love having a creative event to plan for and party planning is a great opportunity to teach my kids how to use their creativity to make a party fun, rather than spending a lot of money. I hope you enjoyed our fun birthday party planning tips! Thanks for posting the mermaid printables. You are a life saver! I hope you enjoy making something crafty! Thank you for the ideas and free printables for a Mermaid party. We had fun making them! My girls love mermaids and crafty activities. I hope you have a great party! Awesome post!! Thank you for putting the free mermaid print outs, I really appreciate it!!! My daughters 2nd birthday is purple and blue mermaid themed.??? You are welcome! Your party sounds like so much fun! My girls’ favorite colors are purple and blue too. ? So nice. My daughter’s 5th Birthday Party is coming up and she wants a Frozen theme birthday Party. Thanks for the ideas. Love them all. This is the BEST blog post I’ve read all week. How much fun! Wish I could have been there with my super cape on as well. These look like such fun printables! Thanks for the idea. What an amazing post Katie! My little baby boys 3rd birthday is coming up in a month and all these tips and ideas will come in very handy! Thank you so much. Congrats Katie. I really love the mermaids they are SO cute. I’m going to try them. I love crafts. I have a boy but mermaids are for me. lol thank you. Wow, these are super fun ideas! And the mermaid cutouts are cute, my daughter loves birds, so I’ll try making bird cutouts! Its a cute birthday party.I always love to throw such birthday parties.Thanks for sharing the ideas.The cake is beautiful too! 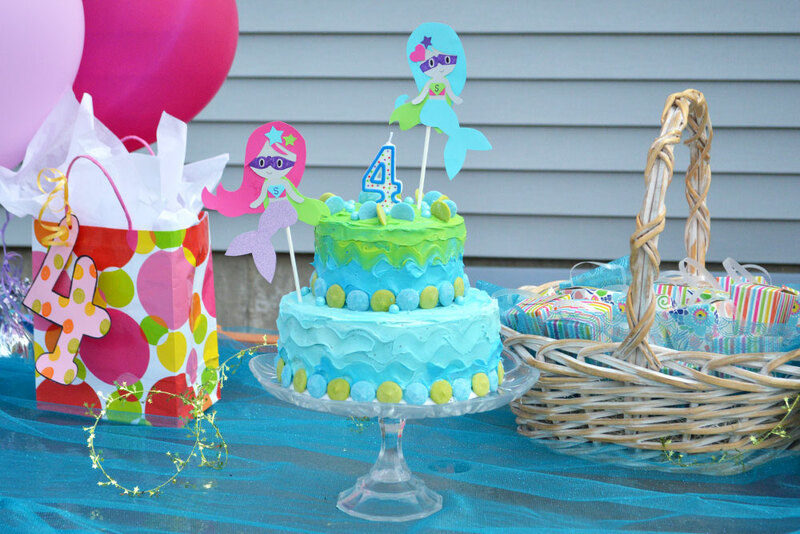 Love all these hints & tips & ideas for kids birthday parties! There are times it’s hard to know what to do & the little ones change their minds so often! Such fun! I used to organize theme birthday parties for my kids when they were younger and they had a blast too. ? Love the idea of finding some easy to do templates!! I think even my son would like crafting them!! A friend of mine did a printable coloring book for one of her favors and I loved that idea too!! This looks a fun try. One can see the effort you have put into the party. I am sure the kids loved it. This looks adorable. I look forward to my son and daughter getting older because of this exact reason – I can’t wait to see what they like and watch their personalities really unfold! this was perfect as I am getting ready to plan for my godsons 2nd birthday! So cute! The design part will be the tricky part for me but oh well, this looks good and fun to pull off! Thanks for the tip! Thanks for these ideas! I have a girl turning 2 this year, so I have years of party planning ahead of me! Such a cute idea!! I love you and your daughter’s creativity. That’s something I will always struggle with. I’m looking forward to creating fun birthday parties someday once my little ones are old enough to enjoy it! Great ideas, love the unique theme! This sure looks like a fun idea. My grandkids will love this! Definitely the adults will have fun as well! so cute! Aww the superhero mermaids are awesome! I love this. I need to plan my 4 year old party soon so this is perfect! This looks like so much fun! What a great idea for a theme! My daughter would LOVE that. I love these ideas! And what a cute theme! We’ve done superheroes but no mermaids lol. This whole party looks so adorable! I love the combination of mermaids and superheroes! This party looks like so much fun! I love the theme and all of the little details. I especially love the custom invites!